WHO look stupid charlatans now? After a period of extraordinary politeness, restraint and personal goodwill towards the Prime Minister, Jacob Rees-Mogg finally concluded that her highly destructive ‘deal’, in fact only a ‘permission to leave’ the EU with no deal gained at all, could be jettisoned only if she left office. He must have been informed by tens of MPs who also dislike the ‘deal’ that they would back a leadership challenge, along with Steve Baker who had come to the same conclusion after repeated frustrating attempts to get the PM to change course and get a much less damaging two years in the freezer of this Withdrawal Agreement. As we know Rees-Mogg was let down, his fellow Leave MPs failed to deliver a mere 48 letters and Mrs May wobbled onwards, with the fate of the UK dissolving in her hands. Rees-Mogg was pilloried in the press and in his own party for his honesty in preferring the national interest to a misplaced party political support for the PM, with her power to confer knighthoods and coercion through her ruthless party machine. And so Mrs May, totally identified with ‘her’ plan, has staggered on and got the ticking timebomb towards a Commons vote, supported by erstwhile ‘Brexiteers’ who prefer cabinet status to the national interest. Michael Gove is now a Remainer plus plus, as is Penny Mordaunt who recently described the Rees-Mogg initiative as ‘unhelpful’ – to her own political ambitions perhaps, or to the cause of a severe degradation of the UK’s position in the world. Mr Gove is clearly angling for a takeover from May when her plan is voted down by the Commons, playing the man for all seasons, in fact the man who betrayed Boris Johnson, also the fishermen in his DEFRA role, and the cause of Brexit, since May’s plan is the very reverse. Do Mordaunt, Leadsom, Fox et al fully realise that this WA spells government by the Joint Commission, so cunningly and typically hidden in an annexe. And Mrs May’s cheap and shoddy attempts to commend her deal have served to reveal her as deceiving the voters. President Trump said the deal was great for the EU and stopped the UK doing trade deals with the US, as she had promised, and he has been vindicated. She has been made again to look dishonest and stupid. She said that her deal was intended to heal the Leaver-Remainer rift in the country, but it has exacerbated the mutual distrust and dislike, the Leavers being smeared continually as stupid, uneducated and xenophobic, even racist, by the Waitrose army of the liberating middle classes who call themselves ‘the people’. If May’s deal goes through it will be the very reverse of a healing: it will lead to decades of acrimony and recrimination, not least for a massive referendum win being cynically inverted and the ‘pack of lies’ used by the government to slide this toxic political suicide pill down our throats. The great deception is to be revealed by the ‘legal advice’, desperately hidden by the government and leaked to the press as warning that the customs union WA arrangement will probably not be reversible after the ‘transition period’ – what a euphemism – ends. This lie, if the reports are correct about it, destroys the reputations of the PM and all in the cabinet who did not resign. It is a lie that of course we should be used to after FCO 30 / 1048 and its deeply cynical, even seditious, decision to conceal from the public the gradual ceding of sovereignty from Parliament to an unelected EU administrative machine until it was too late. May is putting the cap on that cynical sell-out, and again giving no reasons why this is such a great idea. This is a Remainer plot: there is no other way of seeing it. All the Remainer Tory MPs who love the May scheme to invert Brexit stand guilty in their anti-democratic chicanery and collusion in this dishonest and mendacious project of power play and repression. 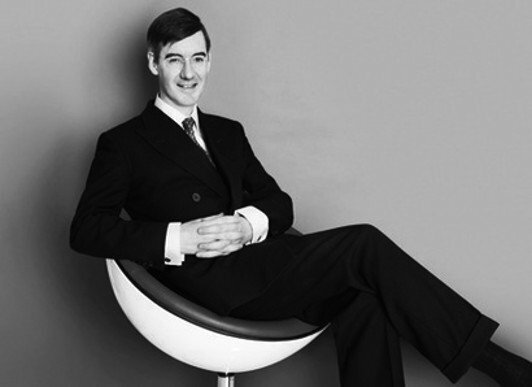 Jacob Rees-Mogg stands totally vindicated and squeaky clean. He, with Steve Baker, told the truth and attempted to deliver us from evil. The Remainers are advised by the very clever Matthew Parris in his Times column to keep quiet for now, but they should not be allowed to hide. They have continually hamstrung and sabotaged the Brexit declared in Cameron’s leaflet as the outcome of a Leave vote. They have helped the ridiculing of Rees-Mogg and the ongoing daily attacks on Boris Johnson who is the threat of a popular Tory who wants to enact Brexit, despite his keeping quiet. These Remainers now want to ‘pivot to a Norway deal’, which is not cutting free from the single market and all the constraints of that, including free movement and massive payments. No. Remainers have to accept the referendum result. It is time to admit that their guerilla war against Brexit has led the nation to this chaos and humiliation, to the deepening contempt of the public for their ever-so-clever and patronising, Leave-hating, sophistry. They need at last to bite the bullet and accept a Leave PM when May finally falls into the black hole of ignominy, a bit lower than Neville Chamberlain, unless she really is now in the grip of a delusional illness – which could be a thesis worth exploring. The game is up for Remainer Tory MPs, including the fatuous five converts from Leave. Because the public now knows too much, all the assurances turned into lies, all the smears and insults at the Mrs Duffy type of decent blue-collar people labelled as racist xenophobes by the Blairite Remainers, all this bile and rhetoric is now exposed as a fungus of verbiage to cover for a total lack of reason, honesty and morality in their quasi-religious EU fundamentalism.